SRP Pistons are designed for street/strip applications utilizing many compression ratio combinations compatible with pump gas as well as moderate turbo boost and nitrous oxide. 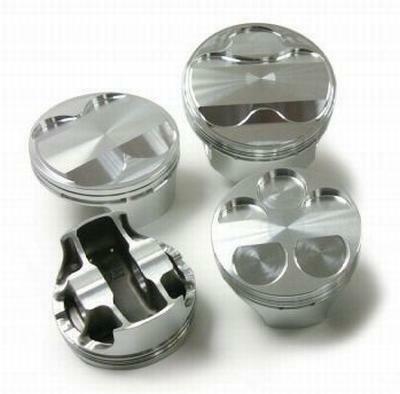 SRP Domestic Pistons are forged from 4032 low-expansion aluminum alloy for smooth and quiet operation. SRP Pistons are Sold as MATCHED SETS of Pistons. SRP Part # Quantity ‘1’ Will Include 6 or 8 Pistons.